A challenge and a response on TV weathercasters' 'responsibility' to address climate change science ... and background to help them do so. 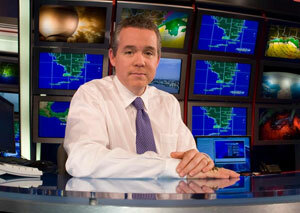 The clarion call came out in early January from veteran Miami Chief Meteorologist John Morales of WTVJ, NBC-6. It’s a plea Morales and retired Washington, D.C., meteorologist Bob Ryan have made previously, for instance in 2007 when he and Ryan, a former American Meteorological Society President, had authored a column in an AMS journal. The reasons for that? Morales pointed to the issue’s having been “politicized” in the U.S. “unlike in the rest of the world.” And he said TV newsrooms fear ratings losses stemming from what some viewers might see as “unpopular” climate change coverage. “When done right, there is little chance that anyone will be ‘offended,'” Morales wrote in that post. For him, he continued, “the best way to do it is to always tie-in climate change to an ongoing event,” excessive rainfall, for instance, as a tie-in to the increased prospects for heavier rainfalls in a warming world. Some 1,700 miles to the west of Morales’ home in Miami, another respected veteran TV weathercaster, Mike Nelson, chief meteorologist at KMGH TV7 in Denver, entirely coincidentally was outlining his own background information for on-air reporting on climate change. 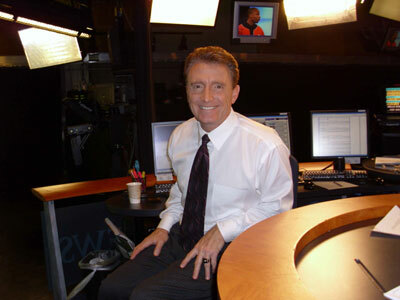 Along with Morales, Nelson has been among the leading broadcast meteorologists in the country regularly addressing climate change science. Nelson in early January outlined his thoughts, lightly edited and posted below with his permission. Veteran Denver Chief Meteorologist Mike Nelson addressing climate change. As 2017 begins, here is an update of my thoughts about global warming. While this topic has stirred up controversy and some strong reactions, it truly is pretty simple science – when you add heat to something, it gets warmer! I address this topic at some peril! In many ways: The job description for the TV “weathercaster” is to simply be the nice, friendly person who tells you what the high was, how much rain will fall, and what to expect next weekend. I have found that, especially in recent years, the topic of global warming can stir up deep emotions among viewers and can bring some rather rough responses via e-mail and Facebook. Nonetheless, TV meteorologists are often asked to provide their viewers with insights and explanations on earthquakes, meteors and comets, tsunamis and volcanoes. For many Americans, we are as close to a scientist as they will get, and they invite us into their living rooms. So, with that said, here we go! 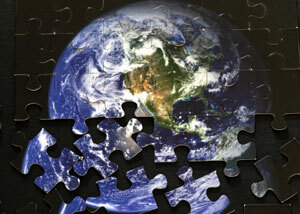 It is true that the Earth’s climate has cycled through great changes over the course of our geological history. These changes are obvious in the fossil record – Denver was once under a great shallow ocean! These changes result from a variety of causes, from volcanoes to continental drift to the shift in the Earth’s orbit on its journey around the Sun, to changes in the output of energy from the Sun. One of the key components to our Ice Ages has been what are called the Milankovitch Cycles. These long-term changes in the shape of our orbit and the shift in the tilt of the Earth work like the complex gears of a clock, gradually switching our planet from Ice Age to warmer periods and back again. The Milankovitch Cycles are well documented and have been a primary driver of our changing climate for hundreds of thousands to millions of years. If not for this effect, the Earth would be about 60 degrees Fahrenheit colder – a lifeless ice planet. In 1825, a French mathematician named Joseph Fourier calculated that given the distance from the Sun, the Earth should be much colder. He theorized that it was the atmosphere that trapped enough heat from the Sun to make our planet habitable. Move ahead about four decades: In 1865, Irish physicist John Tyndall did early experiments with carbon dioxide and discovered that carbon dioxide was very effective at trapping long-wave or Earth energy. And three decades later, Swedish scientist Svante Arrhenius in 1895 theorized that a doubling of carbon dioxide in the atmosphere would cause the Earth’s average temperature to increase by several degrees. In the past 200 years (that is, since the Industrial Revolution), the increased burning of fossil fuels has released vast amounts of carbon dioxide into the atmosphere. The atmospheric concentration of CO2 has risen about 25 percent in the past two centuries, from 280 parts per million (ppm) to just over 400 parts per million. I am often asked how such a trace gas can be so important. Just consider that 400 ppm of carbon monoxide would render us unconscious and close to death. Unlike CO2, CO is a poisonous gas, but the point illustrates that small amounts do matter. Carbon dioxide is not deadly, but it is highly effective at retaining terrestrial energy in our atmosphere. Think of each molecule of carbon dioxide as a feather in a down comforter. If there are not very many feathers, your body’s heat will escape through the comforter and you will be cold. But keep adding feather after feather, and the comforter becomes much more efficient at holding in your body heat … and you stay warmer. Our atmosphere can be thought of as a giant comforter, and modern scientists have calculated that a doubling of the CO2 from pre-industrial levels will result in a net increase of four watts per square meter (W/m2) of stored energy over the entire surface of the Earth. That is about a night-light’s worth of heat over a square meter, but taken over the vast surface area of the Earth, this is a tremendous amount of extra energy! The heat-retaining characteristics of carbon dioxide can be measured in a lab and can be further verified by studying the changes in CO2 concentration and global temperature from Ice Age to Ice Age by analyzing tree rings and ice core data. The data show that climate warms or cools about 3/4 of a degree Centigrade per W/m2 of forcing. Each doubling of CO2 adds about 4 W/m2 of forcing, and without strong efforts to switch the world to non-carbon energy, we are on track for two doublings. So “business as usual” would add 8 W/m2 of forcing by 2100. At the end of the last Ice Age, the melting ice sheets dropped the albedo (reflectivity), and the oceans released CO2 and methane. The total climate forcing was about 6.5 W/m2, and the Earth warmed about five degrees C over 10,000 years. Notice this is also about 3/4 of a degree per Watt. If China, India, and Africa industrialize with coal, we will add more than that in 100 years. Wow! And, alas, then there’s methane: It’s an even more powerful greenhouse gas, and it is being released as permafrost melts in the high latitudes and from leaking at natural gas well sites and from peat bogs. Fortunately, we can, if we choose, fix and contain these leaks. Water vapor is an important greenhouse gas, like carbon dioxide and methane. Water vapor and clouds account for 65 to 85 percent of the greenhouse effect, compared to a range of 10 to 25 percent for CO2. So why all the attention on carbon dioxide? The answer is that although water vapor is responsible for a major portion of Earth’s warming over the past century and for projected future warming, water vapor is not the cause of this warming. The increase in carbon dioxide, although small compared to the volume of the atmosphere, is critically important, and that increase in water vapor in the atmosphere is a result of this warming. In general, the amount of water vapor in the troposphere does not vary significantly over time so long as temperatures remain stable. However, if some external forcing causes tropospheric temperatures to increase, there will be a water vapor feedback. The reason is obvious: Warmer air can “hold” more humidity than cooler air. Additional water vapor concentrations, resulting from higher average temperatures, will trap even more heat and result in still more warming. Increasing temperatures also influence formation of clouds, which both trap heat below them, heating the Earth, and increase the reflectivity of the Earth, the albedo, by reflecting light off their white surfaces, thereby cooling the Earth. There remain uncertainties regarding the magnitude of cloud feedbacks, though many researchers believe that the effect is neutral or slightly positive. It is very important to realize that a heat-wave, tornado outbreak, record flood, or major blizzard is not climate – it is weather. This is a point the general public too often does not appreciate. The weather goes through tremendous fluctuations from day-to-day and even hour-to-hour – let alone over the course of weeks, months, or years. We weathercasters often confront people who prod us by saying, “You cannot even predict the next few days with certainty, how can you predict 100 years from now?” I agree that weather forecasting is not always as accurate as desired. But in many ways forecasting the weather is actually much more difficult than projecting long-term climate change. For example, if you wanted to get away from the cold in January, would you head to Miami or stay in the Rocky Mountain State? The climate of Miami dictates that you head to its beaches and not to the slopes. But the weather in Miami could mess up your plans if a strong cold front hit Florida during your trip. In fact, Miami might be 45 degrees and windy, even as Denver basks in 65 degree temperatures resulting from a Chinook! As the climate warms, the higher average temperatures in the western United States will likely lead to more drought and fire concerns in the decades to come. Because we are far away from large bodies of water, higher temperatures here are not usually associated with increased humidity – in fact, just the opposite. Drought is not just a lack of precipitation, it is also related to the amount of evaporation of moisture from the soil. Even with the same amount of annual precipitation, higher temperatures would result in more frequent drought. El Niño and La Niña episodes may differ in the coming century. The periodic warming and cooling of the Pacific Ocean along the Equator has enormous implications on global weather. These warming and cooling events in the ocean need to be taken into consideration over the long term, not used as singular examples of a change in the climate. However, as the overall temperature of the Earth increases, it is quite possible that we will see stronger versions of both El Niño and La Niña. The result will be increasingly severe individual episodes of heat and drought, storms, and floods. Several other periodic ocean circulations are not as well-known as El Niño or La Niña. These circulations help store vast amounts of the heat in the ocean water. The periodic release of that stored heat from the ocean to the atmosphere is a key reason that warmings occur in steps instead of a gradual ramping from year to year. Satellite measurements since the late 1970s have shown that the volume of Arctic sea ice has dramatically diminished. Sea ice does grow and shrink as a result of natural cycles, but the ice now is at or near historic lows. That sea ice is highly reflective, but the dark open ocean waters left by its melting are just the opposite. As more of the Arctic becomes ice-free, the increasing expanses of dark waters will warm, and these effects may significantly alter the phases and intensity of many ocean circulations. I am not a climate scientist. My expertise lies in a much, much shorter time-frame. However, I spend a great deal of time doing research and attending seminars with many of the best climate scientists from the nearby National Center for Atmospheric Research, NCAR, and other research institutes around the world. There is no question that we humans are having a significant impact on the warming of our climate, and those higher temperatures will make weather events more extreme. With more energy in the climate system, there will be drier droughts, heavier rains (although more spotty), bigger winter storms, and more powerful severe weather events. The physical science is pretty straightforward. It’s the political science, if you will, that is the very hard part. It is correct that the United States alone cannot solve the climate problems our modern world faces. However, we can lead in developing the new technologies needed to produce the energy we need, we can protect and preserve our valuable water supplies, and we can reduce the amount of carbon dioxide added to the atmosphere and try to deal with the consequences of rising sea levels. It takes political will and scientific advances – but first, it will take a broader understanding of the enormity of the challenges. Albert Einstein was right in advising us that we cannot solve the problems we face with the same level of thinking we used in creating them. When Soviet cosmonaut Yuri Gagarin, the first human in outer space, in 1961 reached the top of our atmosphere and gazed out of his small porthole, he was terrified. He was not worried about his spacecraft, but rather shocked by how thin and fragile our atmosphere appeared against the cold blackness of space. Gagarin later explained that he had always been taught that we lived at the bottom of a “great ocean” of air. From his tiny spacecraft, the ocean looked more like a shallow puddle. As far as we now know, out of the vastness of the universe, the planet Earth is the only place that harbors life. Someday we may find other worlds with an environment that enables life to form. But for now, this is it, our lonely outpost in a remote corner of an otherwise unremarkable galaxy. It seems prudent, patriotic, and reverent that we do what we can to conserve and protect the fragile envelope of air that allows us to live on planet Earth. The legacy we leave future generations depends upon the actions we take in the coming years. Our heirs will be the judges of our success. Those words speak to all of us.